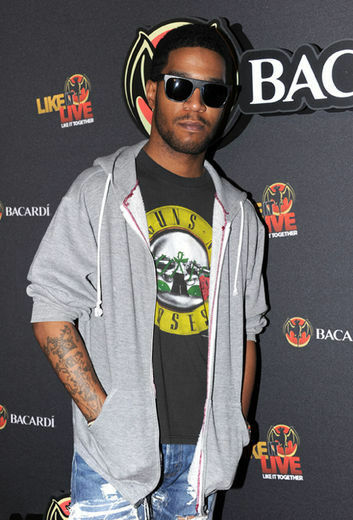 Kid Cudi in NYC attending the Bacardi event. have you all seen his new video about weed pretty interesting. Sanaa Lathan attended the Ghetto film school event in NYC yesterday, she looks great. 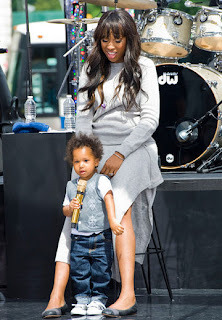 JHud fresh out of the hospital from her stomach issues, rumors have it that she was having complications from her lap band procedure, although her camp is denying that Jennifer had that surgery. IDK we will see. Anyway she brought her son on stage for her CBS rehearsal, he is too cute.